The Records Center houses a variety of records generated by departments and divisions of the City of Charleston, which may be of use for both historical and contemporary research. These records document the City’s organizational history and provide important insight into the social, political, and economic history of Charleston. In 2002, the City transferred some of its older collections to the Charleston County Public Library (CCPL) in order to make the documents more widely available. A list of these records is located on the library website at City of Charleston Records. The following gives a broad overview of the records held by the City of Charleston and available for research at the Records Center at 2 George Street. Researchers are welcome to make appointments to view many of our records; however, some research requests may require a Freedom of Information Act (FOIA) request. 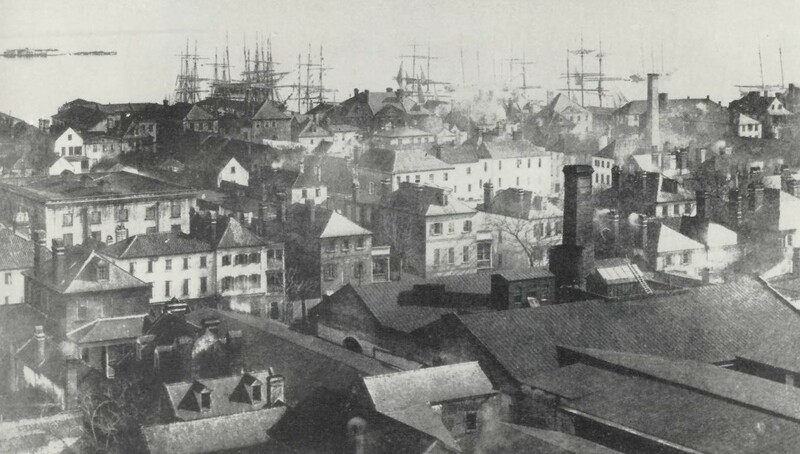 The General Files of the City Records Center contain information of city streets, historic buildings, institutions, businesses, noteworthy persons, and events relevant to the history of Charleston. These files are a useful source of knowledge for anyone seeking a broad overview of a particular subject, person, or place of significance to the City. While largely a collection of newspaper clippings, the General Files do contain some original City documents. Through the courtesy of the Charleston County Register of Mesne Conveyance (RMC), digital images of more than 800 archival maps and plats, many drawn by the City Surveyor or City Engineer, are available online at City of Charleston Archival Maps and Plats. Please note that the City does not retain plans for private property longer than one year after a issuance of a Certificate of Occupancy. Many of the public records frequently requested from the City Records Center are actually issued by other government agencies.